There are eye shadow palettes, and then there are EYE SHADOW Palettes. Ciate London has two “must have” palettes. I am a huge fan of the Ciate London’s eye shadow palettes, illuminating blushers, and lipsticks, lip butters, and liquid lipsticks . Hence, this fall, Ciate launched two eye shadow palettes. For me, it was love at first sight! First, Ciate Astrolights Eye Shadow Palette, Burnt, is a bronze goddess’ dream. 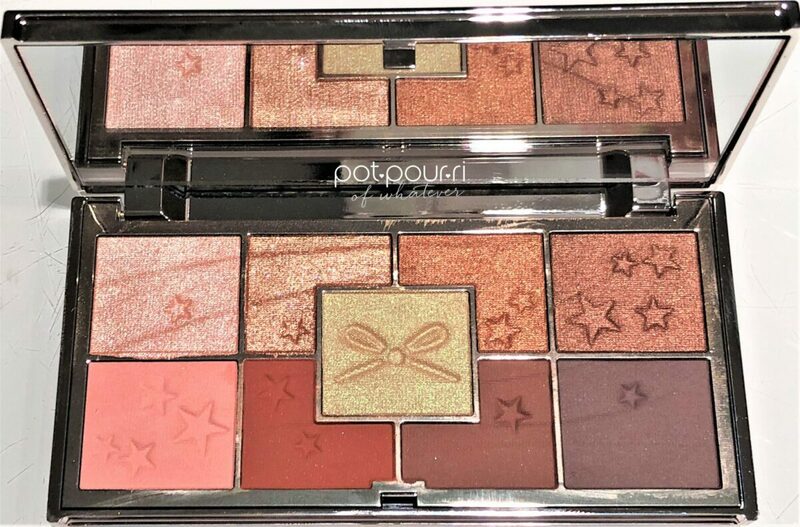 Next, the Ciate Astrolights Eye Shadow Palette Jewelled has beautiful jewel-toned shadows that create dazzling eyes. 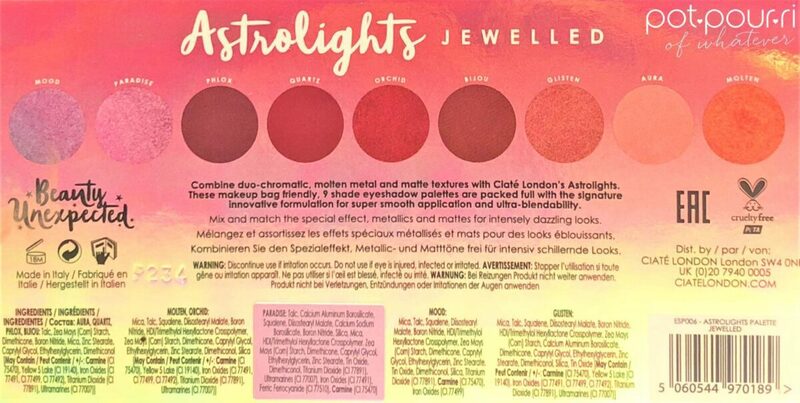 Nine eye shadows make the Astrolights palettes. Each palette has four creamy matte shades. Also, they each have four hyper-real metallic shades. However, there is one star. The eight shades revolve around the duo-chrome shade. Specifically, it is the duo-chrome shadow that creates the palettes special effect looks. 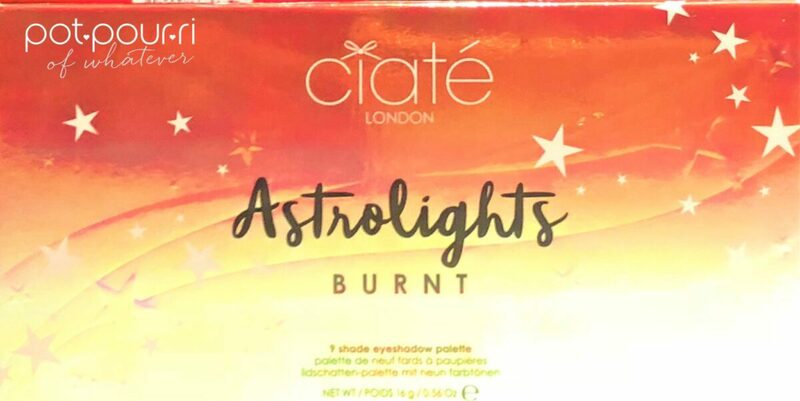 You can find the Ciate Astrolights at Sephora. Each Palette retails for $35. To begin with, the palettes fit into the palm of your hand. Therefore, they are portable, and so easy to travel with. Also, the compacts are sturdy. In addition, I love that the compacts are color-changing. For example, the compact reflects the duo-chrome shadow in each of the palettes. Therefore, the compact, like the shadow, changes color depending on where the light hits. First, the eye shadow formula is made with New Pigment Technology. To start, wet paste is used to create the shadows. Next, the wet paste goes into the palette pans. Then, the paste dries in the palette. This method eliminates the amount of fillers needed for the base formula. The result is an eye shadow with an abundance of super-soft pigments. In addition, the shadows are easy to apply. Also, they are easy to blend. And, they’ll last longer! Furthermore, each palette’s feature duo-chrome shade creates your special effects. This shade is made with a new powder-gel formula. This is a rust-toned palette. If you want to look like a Bronze Goddess, this is your palette! This Palette includes chocolate-brown and rust shades. However, the center shade, the feature shade is Haze. Haze is a green-gold, color-changing , duo-chrome. This is a pink-toned palette. 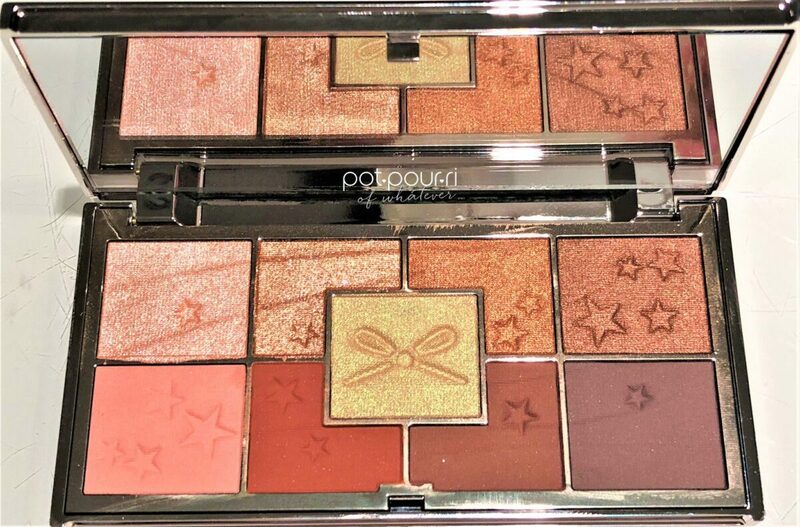 If you want to enhance your eyes to make them dazzle, this is your palette! The Jewelled tones range from rosy peach to mulberry brown, In addition, the featured center shade is called Mood. Mood is a pink-blue duo-chrome. Therefore, the colors change from pink to blue and back to pink. 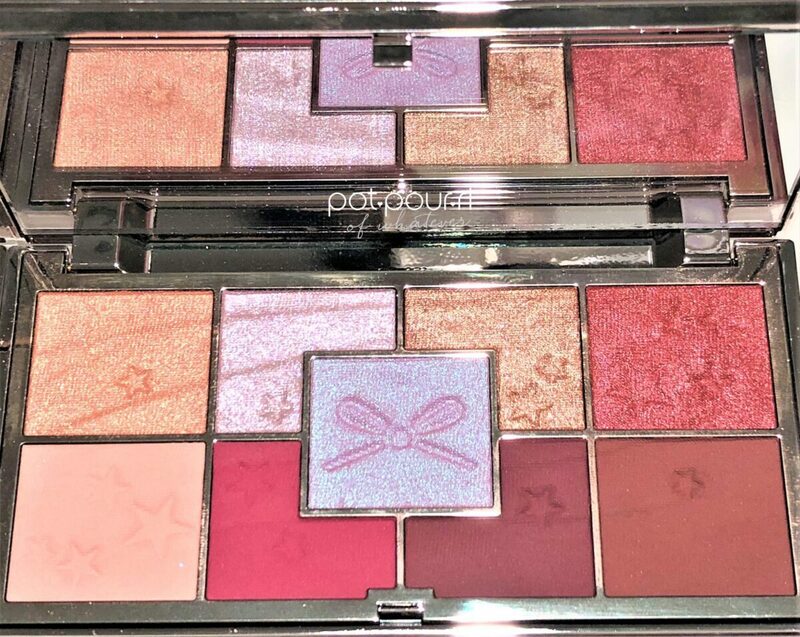 Also, if you love the new Cranberry-inspired look, try getting that look using this palette! You’ll love it! 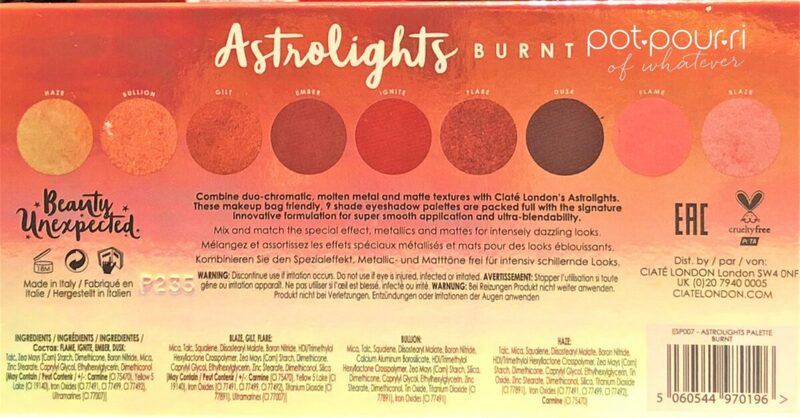 There are four matte shades in each of the Astrolights Palettes. For the best application, use a fluffy blending brush. Additionally, for the best application of the four molten metal shades, use your finger or a flat synthetic brush. Furthermore, you can use your finger to apply the duo-chrome shade in each palette. Also, the duo-chromes can be worn as an eye shadow topper, or they can be worn alone. Ciate Astrolights Palettes Last But Not Least…..
First of all, I had a difficult time choosing between the TWO Palettes. Who doesn’t love the bronzed goddess look! I love it! So, of course I needed that palette. And, I love the Cranberry inspired look that is trending right now. So, of course, I had to have the Jewelled Palette. Above all, I love the finishes of both palettes. Molten Metals are perfect for the holidays, and night-time looks. The mattes can go either way. First, they can be worn alone, or blended together to create a day-time look. Also, the mattes are great shades to use as a transition color. Last of all, use the duo-chromes over the mattes to create a special effects dramatic look. And, I love duo-chromes. I am partial to the shade-shifting effects of wearing one color that, according to the way the light hits it, can shift into another color. Finally, I’ve been trying to finish this post for over a week now. My husband and I “ran away” for a few days with our besties from Florida! We had mucho fun in Nashville, and stopped to visit Elvis in Memphis for two days. We were having too much fun. So, when I went to the hotel late at night, I tried, and tried to finish the post. But, either I would make too many mistakes, or I would fall asleep. So, sorry if you were wondering where I was the past few days! I missed you, and I really tried to work a little bit! I kept dragging my tablet around with me in hopes of completing this one! Why? Because Ciate just release their holiday collection! And, I am excited to try the new palette! 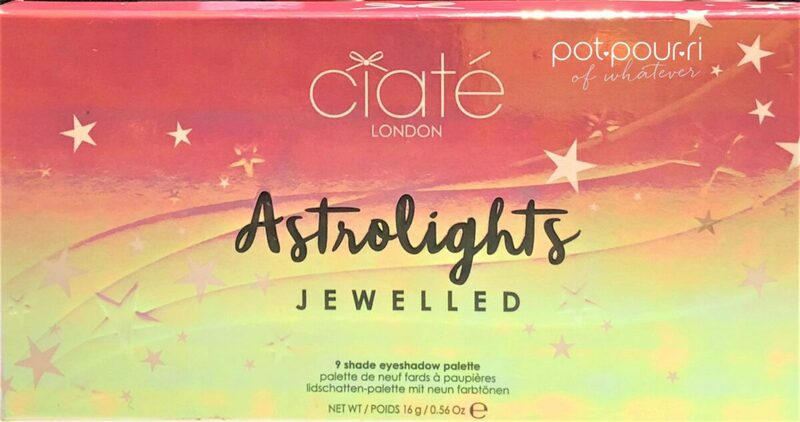 Let me know how you liked the Ciate Astrolights Palettes! Also, I’d love to hear if you have visited Nashville? Memphis? I can’t wait to show you some of the pictures we took!!!! We did everything from eating at three different barbques, seeing a country show in the famous Ryman Auditorium(where the Grand Old Opry shows originated). And we went to the Country Music Hall of Fame Museum. I think my favorite part was visiting The Sun Recording studio,( where Elvis was discovered.) Also, we visited Graceland. And, we spent a day at the Civil Rights Museum. We had too much fun! As usual, I’m going to need a vacation from the vacation! As always please comment in the comment box below! OMG I can’t wait too try them!! Can’t wait to see your vacation pictures! Also, love what you did with the names below!!!! !